With the exception of Dunkin, all the Chief (or First) Assistants appointed at the Observatory between 1835 and the 1930s were exceptional maths graduates from Cambridge who tended to be recruited into post more or less straight from university. All were wranglers i.e. had first class degrees. Main was sixth wrangler (sixth in his class), Stone was fifth wrangler, Christie was fourth wrangler, Turner and Dyson were both second wranglers and their successors Cowell and Eddington both senior wranglers (top of their class). Those who held the post of First or Chief Assistant typically went on to run an observatory of their own. Cowell was an exception. He moved sideways to run HM Nautical Almanac Office. The Senior Wrangler, Mr. PHILIP HERBERT COWELL, son of Mr. H. COWELL, Privy Council Bar, was born in 1870, and was previously educated at Rev. E. St. JOHN PARRY’s School, Stoke, Slough. After graduating, Cowell remained at Cambridge where he was involved in research He was elected a fellow of his college in 1894 and awarded his MA in 1896. Cowell had numerous interesting and distinguished relatives. His mother was the third daughter of Newson Garrett of Aldeburgh Suffolk. One of her sisters, Elizabeth Garett Anderson, was the first woman to qualify in medicine. Another was Millicent Garrett Fawcett, a leading suffragist, wife of Henry Fawcett (Professor of Political Economy at Cambridge and Radical Liberal MP for Brighton and later MP for Hackney and Postmaster General), and the mother of Philippa Fawcett a mathematical genius who went to Newnham College, Cambridge and was placed above the senior wrangler in 1890, but, as a woman, was not allowed to graduate. His father, Herbert Cowell was a barrister who was related to Edward Byles Cowell, professor of Sanskrit at Cambridge and to James Edward Cowell Weldon, successively headmaster of Harrow, bishop of Calcutta and dean of Durham. Shortly before his arrival at Greenwich, Cowell was elected a fellow of the Royal Astronomical Society. This was on 14 February 1896. 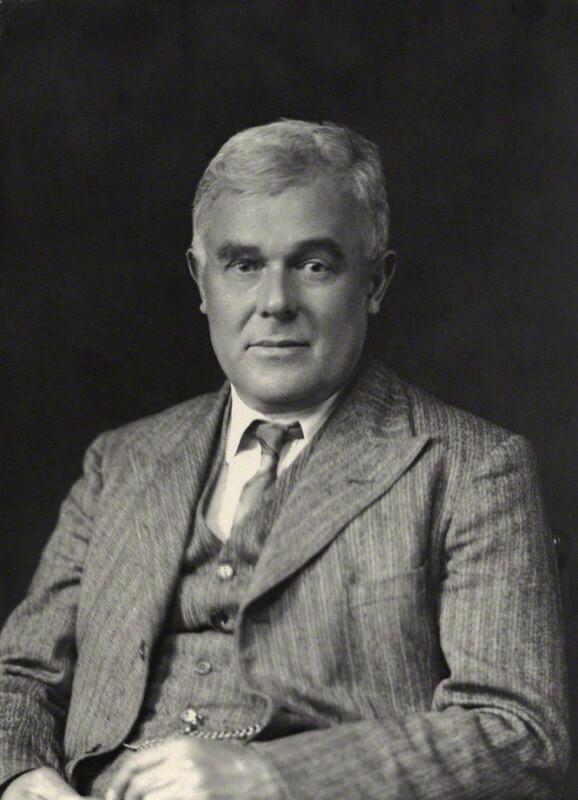 Towards the end of 1904, on the strength of his recent work on lunar theory, Cowell was proposed as a fellow of the Royal Society whose president at that time was Sir William Huggins. The proposers were his boss, William H M Christie (Astronomer Royal); George H Darwin (Plumian Professor of Astronomy at Cambridge); H H Turner (former Chief Assisstant at Greenwich, Savilian Professor of Astronomy at Oxford and President of the Royal Astronomical Society); P A MacMahon; A E H Love; Robert S Ball (Lowndean Professor of astronomy and geometry at Cambridge and previously Astronomer Royal of Ireland); H F Newall; J W L Glaisher & F W Dyson (former Chief Assistant at Greenwich and Astronomer Royal for Scotland). Of the nine proposers, four, (Darwin, Turner, Ball, and Glaisher), were members of the Observatory’s Board of Visitors. Cowell was duly elected on 3 May 1906. He was later awarded the Royal Astronomical Society's Gold Medal and given an honorary D.Sc. of Oxford. Click here to view his nomination paper. The circumstances of Cowell’s move to HM Nautical Almanac Office are unclear. So too are his expectations of what the job might involve. The post became vacant on the retirement of Arthur Downing, who had moved into it in 1892 from his previous post as First Class Assistant at the Royal Observatory. Whilst for Downing, it was a promotion; for Cowell it was very much a sideways move. According to his obituary written by Jackson, whilst at the Observatory, ‘he had neither the taste nor the aptitude for devising or even using instruments but that he excelled in all matters relating to reducing observations and analysing them’. Downing was due to retire at the age of 60 on 12 April 1910. It seems that Crommelin, one of the Assistants at the Observatory, who had been 27th Wrangle in his year, applied for the post ‘on condition that Cowell did not accept it’. Mr P. Davis, the Chief Assistant at the Nautical Almanac office also asked to be considered. The Admiralty seems to have made the appointment by canvassing the Astronomer Royal along with the Council of the Royal Society for their views as to who was ‘the gentleman best qualified to hold this responsible post’. David Gill had already sent in his unsolicited thoughts on the matter. He considered that there were only two possible candidates. He recommended the appointment of Cowell and if he was not a candidate, then Crommelin instead. What is not clear from the surviving papers is whether Christie (the Astronomer Royal) put it to Cowell that he should apply, or if Cowell had come to that decision on his own. According to the obituary written by Whittaker, Cowell applied for the post because he ‘saw a possibility of making the Nautical Almanac office a centre for research in dynamical astronomy’. Whittaker goes on to say that the Admiralty gave no support or encouragement towards the fulfilment of his plan’, so ‘he settled down with some disgust to perform the traditional work of the office’. The question therefore arises as to why Cowell though he might be able to turn it into a research centre. Was it something that Christie had said to him? or perhaps something that the Hydrographer of the Navy had once said? We do not know and are unlikely to find out as Cowell’s successor, Comrie, destroyed most of the records of the Nautical Almanac Office in order to free up more space in the office. Although disillusioned, Cowell saw a way out of his predicament when the Plumian Professorship at Cambridge became vacant in 1912. He applied, but was unsuccessful, the post going instead to Arthur Eddington who had been appointed as one of the Chief Assistants at the Royal Observatory in 1906 and had worked alongside Cowell for four years. Cowell was likewise unsuccessful in applying for the Lowndean professorship of astronomy and geometry at Cambridge when it became vacant in 1913. This was despite the fact that he had been giving the lectures for the then incumbent Robert Ball earlier in the year. It is said, that these two disappointments together with a feeling that the Astronomer Royal, Dyson (whose time as Chief Assistant at the Royal Observatory had overlapped with Cowell’s) had not supported his candidature, fuelled his disillusionment and alienation from astronomical science and those who practiced it. After 1914, he completely stopped attending scientific meetings. The last 16 years of his working life must have been a pretty unrewarding experience. One of Cowell’s legacies was that early on he devised improvements in computational procedure that lead to significant cost savings. Cowell himself was a fast and accurate computer, all of which was done by hand. When Comrie his successor introduced calculating machines, it was Cowell’s calculating methods that were used. Although Comrie destroyed most of the existing HMNAO records, some related files do survive amongst the Admiralty and Treasury records preserved at the National Archives. One letter in particular sheds considerable light on Cowell’s views about the way in which he thought the office should be staffed. It was written on 17 August 1929 towards the end of his period of office and sent to the Secretary of the Admiralty in response to an enquiry from him. The paragraph below is just a short extract. At the time of writing, the only established member of staff working for him was his deputy, Comrie, the other assistants not having been replaced when they had resigned. The now obsolete class of assistants was in my opinion a mistake. Actually the average of them was far below the Daniels [brothers] and Robinson mentioned in this letter. None of them had any general knowledge except one who was mentally unstable. The others were mere computers like those who have replaced them for smaller salaries and fifty per cent more work. Years ago I said in a conversation inside the Admiralty that the organisation ought to be a superintendent, and a successor-designate twenty years (half an office lifetime) younger. This is practically the present state of things. I would further add that economy is not only achieved by paying less for the same work. It can also be achieved by change of methods. I have done my best to shorten methods. The output of the office is greater and instead of eleven assistants [the] two Daniels absorb half the lump sum. And now Mr. Comrie the deputy superintendent is achieving other reductions by the help of machinery. (T162/306). A keen Hockey player, Cowell was captain of the Royal Observatory Hockey Club from 1898–1903. He played outside left. William Witchell described him as the fastest forward the club ever had. Although he left the Observatory in 1910, his association with the club continued. It seems likely that he continued to play for the team and is known to have been one of the vice-presidents in 1930–31. It shall be lawful for the Treasury from time to time, by any order or warrant, to declare that for the due and efficient discharge of the duties of any office or class of offices to be specified in such order or warrant, professional or other peculiar qualifications, not ordinarily to be acquired in the public service, are required, and that it is for the interest of the public that persons should be appointed thereto at an age exceeding that at which public service ordinarily begins; and by the same or any other order or warrant to direct that when any person now holding or who may hereafter be appointed to such office or any of such class of offices shall retire from the public service, a number of years not exceeding twenty, to be specified in the said order or warrant, shall, in computing the amount of superannuation allowance which may be granted to him under the foregoing section of this Act, be added to the number of years during which he may have actually served, and also to direct that in respect of such office or class of offices the period of service required to entitle the holders to superannuation may be a period less than ten years, to be specified in the order or warrant; and also to direct that, in respect of such office or class of offices, the holder may be entitled to superannuation, though he may not hold his appointment directly from the Crown, and may not have entered the service with a certificate from the Civil Service Commissioners: Provided always, that every order or warrant made under this enactment shall be laid before Parliament. When Cowell retired, his pension was awarded on the basis of his 34 years of actual service rather than the maximum allowable of 40 years. Cowell appears to have queried this and as a result, his pension position together with that of Dyson's was reassessed (T164/86/4). Both had been appointed to the post of Chief Assistant on the basis that no additional years would be added. On his retirement, Cowell moved to Aldeburgh where he lived in a house directly overlooking the sea. Investigation of the Motion of Halley’s Comet From 1759 to 1910. Cowell, P. H. & Crommelin, A. C. D.
Philip Herbert Cowell in 1931, by Walter Stoneman. © National Portrait Gallery, London. Reproduced under a Creative Commons Attribution-NonCommercial-NoDerivs 3.0 Unported (CC BY-NC-ND 3.0) licence. National Portrait Gallery Object ID: NPG x166783. 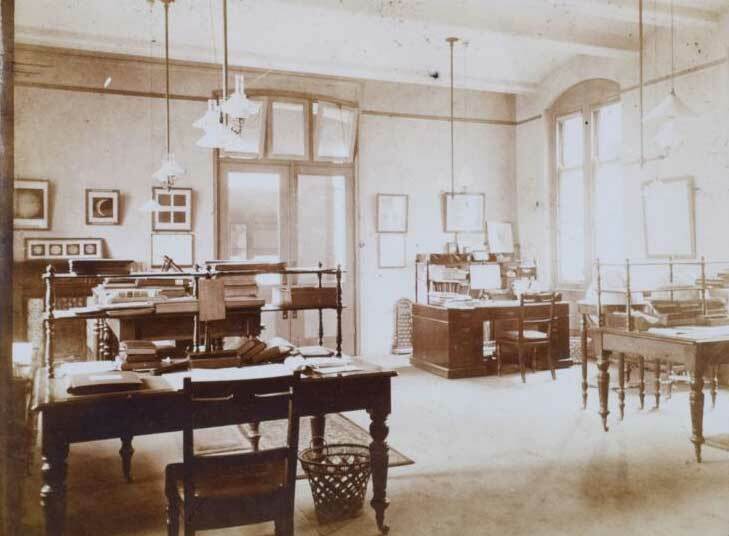 The photograph of Cowell’s desk is reproduced courtesy of whatsthatpicture under the terms of a Creative Commons Attribution-NonCommercial (CC BY-NC) licence. For a link to the the original image, click here.